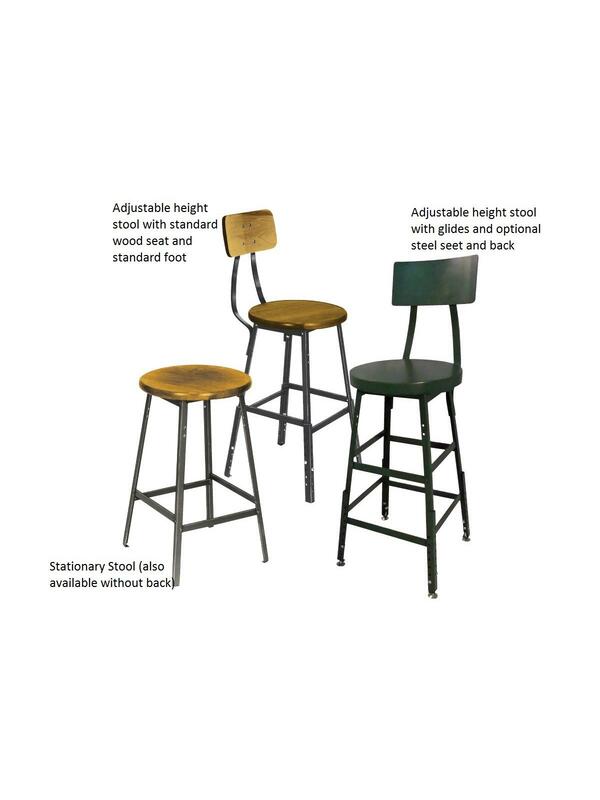 Shop stool frame is made of 3/4 x 3/4 x 1/8" angle iron and 1 x 1/4" steel strip that is mitered, riveted and welded together for day in and day out use. Choose from standard stool foot that is dimpled to protect factory floors, non-marring leveling glides or swivel casters that are available for additional surface protection. 14" diameter stool seats are available in 1" thick laminated maple with 12 x 6" seat backs. 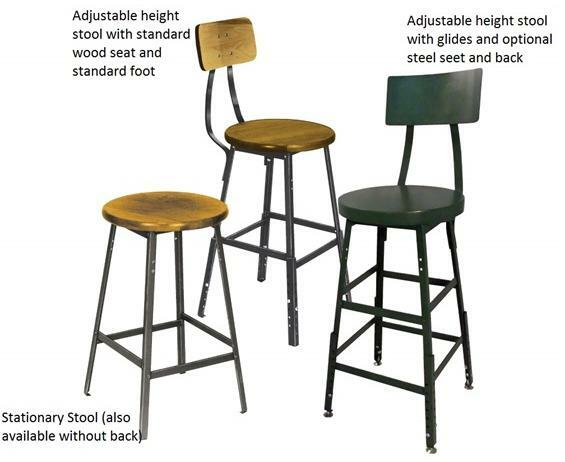 Wood shop stool part numbers referenced, call for all steel stool information. Heavy duty higher capacity stools available - call for details. Available in Green or Gray (specify the color in comments section when ordering). Additional colors available - contact us for more details. Ships KD. FOB Shipping Point. Standard: Dimpled to protect factory floors. 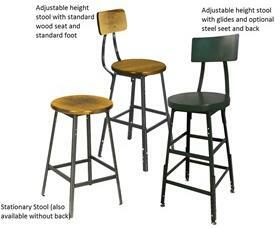 See Related Items tab for Industrial Shop Stools.